Six figure investment from across the industry to drive overall visibility of the category in halo effect campaign. 11 week promotion to run exclusively across Bauer Media owned channels; KISS Network, Absolute Radio Network, Magic, Heat and Empire. First cross industry umbrella campaign of its kind from the video category, promoting new release across all formats. The first media campaign of its kind from the video industry sees the British Association for Screen Entertainment (BASE) and an array of its members including Twentieth Century Fox Home Entertainment UK, Warner Bros Home Entertainment, Universal Pictures UK, Sony Pictures Home Entertainment, Walt Disney Studios Home Entertainment, Paramount, Lionsgate UK, Studiocanal, Entertainment One (eOne) and Koch Media joining forces in a BASE led cross industry initiative that supports new release across all formats (Blu-ray, DVD and Digital HD) as well as the category as a whole, driving visibility and relevance of video. The #MovieWeekender campaign was built on the insight that target audiences¹ start to think about weekend viewing from Thursday onwards, the campaign disrupts audiences across multiple Bauer Media platforms between Thursday and Sunday in order to persuade them to buy the latest video new releases and make an occasion of enjoying video titles at home at the weekend. The campaign drives conversation through mass reach of the Bauer Media Network through radio, print and digital channels, further establishing video in the day-to-day routine of target audiences. 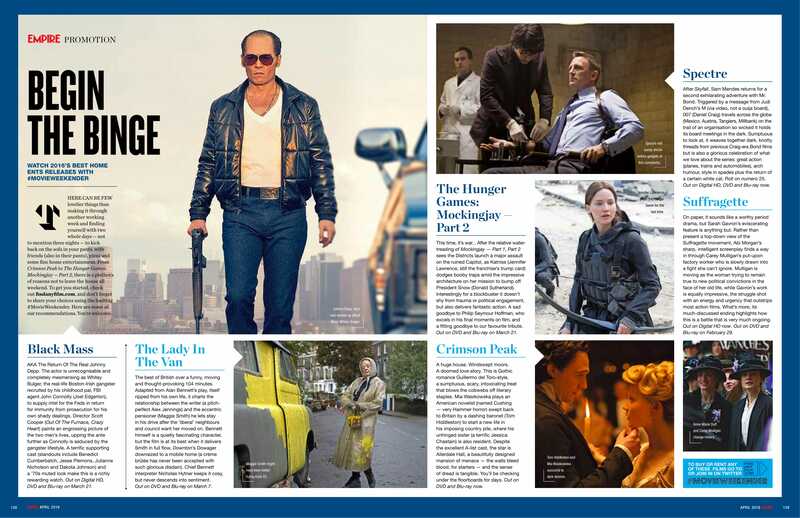 #MovieWeekender promotes titles with a clear and consistent format message, supporting easy discoverability for some while also familiarising broad consumer audiences with existing and emerging formats in order to help consumers recognise and feel comfortable with format options from across the video category, ultimately engaging consumers in the video category for longer. The campaign leads with a strong buy to own message and while this is the primary communication, the campaign is flexible enough to carry an education element not only in relation to formats, but giving a unique opportunity to collectively promote legal routes to video consumption through FindAnyFilm.com. With FindAnyFilm.com as the primary retail call to action, we can support all retail platforms while also achieving collective objectives of promoting legal content sources. 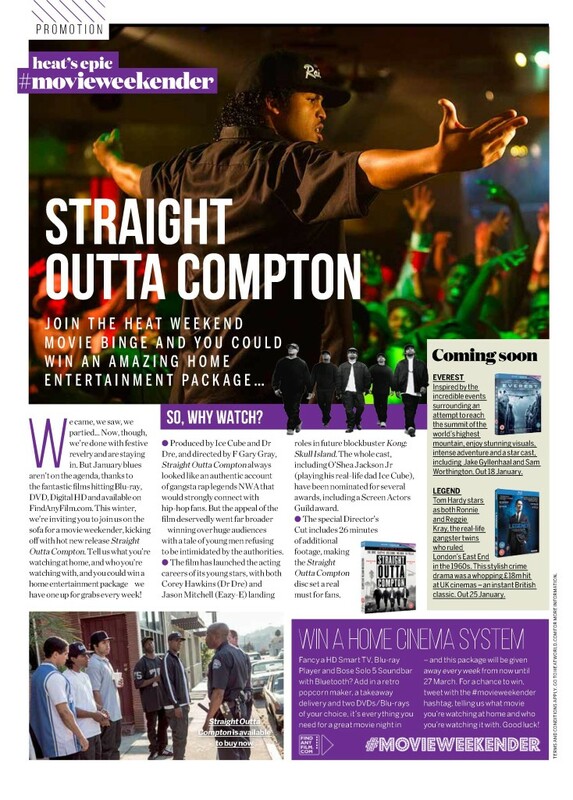 This collective industry first approach has unlocked incremental editorial value in the campaign which aids in amplifying the halo effect of #MovieWeekender across the industry. Commenting on the activity, Liz Bales, CEO, British Association for Screen Entertainment said: “We wanted to create a campaign that increased penetration amongst new and lapsed buyers of home entertainment and to re-ignite the weekend as the perfect occasion to buy new movies on Blu-ray, DVD or Digital HD to enjoy at home. The campaign uses the power of new release content and the strength of Bauer’s audience network to re-engage consumers in buying video content to enjoy again and again.